1. A delay in clamping the baby’s umbilical cord can have numerous long-term health benefits for the child. The umbilical cord is the baby’s lifeline. Through the umbilical cord, oxygenated blood and nutrients are transported from the placenta to the growing baby. Usually, this connection is quickly severed at birth, usually within a minute after the baby is born. New research suggests that early clamping and cutting of the cord can have negative effects on the baby; clamping the cord right after birth deprives the baby of vital blood from the placenta. This early deprivation can lead to iron deficiency and anemia (a decrease in oxygen-carrying blood cells) later in life. A recent review of 15 published studies from all over the world found that delaying the clamping by one minute or more can increase iron supplies for up to six months after birth. Postponing the clamping of the umbilical cord for up to 120 seconds in premature babies can lead to an increased number of red blood cells in the baby, the need for fewer transfusions due to anemia or low blood pressure, and a decreased risk of brain bleeds. Anemia is associated with later brain development problems and intellectual and developmental disabilities. Approximately 10% of all toddlers are iron-deficient. When a baby is born, about a third of the baby’s blood is still in his or her cord and placenta. The reason a delay in cord clamping is so important for a child’s health is because the delay allows blood to return from the umbilical cord back to the baby, which can help keep the blood pressure normal and the oxygen-carrying blood cell level high. The postponement of cord clamping can reduce the baby’s risk of illnesses, such as respiratory distress, chronic lung disease, brain hemorrhages, anemia, sepsis and eye disease. The potential benefits of delayed cord clamping is especially significant for premature babies and babies who have other complications. Thirty – fifty percent of hospitals now delay cord clamping. 2. Interventions during pregnancy are very common and can be dangerous. In a recent survey of moms in the U.S., 60 % of them felt that the natural process of labor and delivery should not be interfered with unless it is absolutely necessary due to medical issues. Despite this common feeling, 25 % of the women surveyed had at least 3 interventions during labor and delivery, which included being given Pitocin or Cytotec to start or speed up labor. Twenty-five percent of the women who were given an epidural or labor drugs said they felt pressured by the staff to consent to the medications. Pitocin and Cytotec can be very dangerous for the baby. These drugs can cause contractions to be too fast and strong, which in turn doesn’t give the placenta enough time to recharge with a fresh supply of oxygen rich blood for the baby. The placenta recharges in between contractions, but when contractions are too fast and strong, called hyperstimulation, the oxygen deprivation in the baby can get progressively worse. This can cause severe fetal distress and permanent brain damage, such as cerebral palsy and hypoxic ischemic encephalopathy (HIE). Medication given through an epidural can have many negative effects on the baby. The medication can cause the mother’s blood pressure to get very low, her heart rate to become slow or irregular, her contractions to become weak or infrequent (which prolongs labor and may cause physicians to administer Pitocin or Cytotec), and her respiratory rate to become very low or even stop (respiratory arrest). All of these side effects of an epidural can cause a baby to become oxygen deprived and in distress, which can cause permanent brain damage and conditions such as HIE and cerebral palsy. When complications occur during a medical intervention, the baby often has to be delivered by an emergency C-section. The physician has a duty to inform mothers of all adverse effects of potential interventions, as well as the alternatives to the interventions. 3. Sleep and diet have a significant impact on fertility. A recent study found that women who work outside of the typical 8 a.m. to 6 p.m. work schedule can have menstrual cycles that are disrupted, which causes a decrease in fertility. Another study found that sleeping between 7 and 8 hours a night is linked with the best outcomes for women who are receiving in-vitro fertilization. Finally, a study that looked at diet found that eating a large breakfast and a smaller dinner can help insulin levels, which affects hormone levels and is beneficial for women who have polycystic ovarian syndrome and are trying to conceive. 4. Certain fertility treatments increase the likelihood of having twins and multiple births. The number of women giving birth to twins and multiples is much greater now than it was forty years ago. In fact, 33 % of all twin birth and more than 75% of all triplet and higher order births were due to the use of a fertility treatment. In the past, it was thought that in-vitro fertilization was the cause of this. However, a major report found that other treatments, such as ovulatory medications, are the main cause of the high rate of twin and higher order births. 5. The number of miscarriages that occur each year has been hugely underestimated. A recent survey found that a miscarriage, or the loss of a baby before the 20th week, occurs in about 15 – 20 % of all pregnancies. This is much higher than the previous estimate of 6 %. In addition, the survey showed that many people wrongly identify the cause of miscarriages as being due to stress, oral contraceptives and physical exertion, when in fact, miscarriages are most often caused by chromosomal abnormalities. Indeed, this survey underscores how much misinformation there is regarding miscarriages. 6. Exercise during pregnancy benefits the baby’s brain, as well as mood and sleep patterns in the mother. When a mother-to-be is feeling sick and exhausted, the last thing on her mind is exercise. However, one study found that moderate exercise consisting of a 20 minute cardio workout, 3 times a week, can boost a baby’s brain activity by contributing to a healthy fetal environment. Babies born to mothers who did this moderate exercise regimen appeared to be better at processing certain sounds, which may have significant implications for overall brain development. Indeed, these babies had more cerebral activation, suggesting that their brains developed more quickly. In addition, research shows that moderate exercise improves a pregnant woman’s mood as well as her sleep patterns. Indeed, there were some surprising results in studies done in 2013. Proper care during pregnancy, labor and delivery and a healthy lifestyle during pregnancy are very important for both the mother and baby. 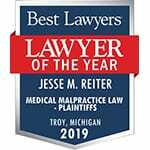 If your baby has a birth injury, contact the nationally recognized birth injury attorneys at Reiter & Walsh ABC Law Centers. Our award winning attorneys have decades of experience handling birth injury cases throughout the nation, and we will fight until you and your family get the compensation you deserve for lifelong treatment, therapy and a secure future for your child. 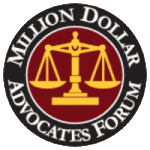 We have numerous multi-million dollar verdicts and settlements that attest to our success, and we never collect any fees until we win your case. Email or call our firm today: 888-419-2229.